It's pretty obvious that text is one of the fundamental building blocks of any document so we've worked hard to ensure that the text handling tools are comprehensive, flexible and easy to understand. Page & Layout Designer offers everything you need for manipulating text. You can enter your text at any angle and you can also set your text along a curved path. Additionally, just like any drawn object in Page & Layout Designer, you can freely resize it on the page, and produce creative display text by applying any of the effects, such as transparency, fills, molds and so on - and yet the text remains editable. Like any word processing program, you have full control over the text style and format - you can change the font, size, color and justification of the text, alter the line spacing, tracking and kerning, and have bold, italic, superscript, subscript or strikethrough. You can set margins, tabs, indents and outdents and easily create bulleted or numbered lists (with your own custom bullets and numbers if you wish). Text Styles are a powerful way to alter the appearance of text throughout your document with just a few clicks. Update an element of your Text Style eg font or color, and all text in your document with that Style applied is instantly updated, helping you create professional looking documents. What’s more Page & Layout Designer offers ‘live’ Style preview; Simply select some text and then traverse the Style menu - the selection will change to show your text in each Style. It’s a quick and easy way to try out your Styles. 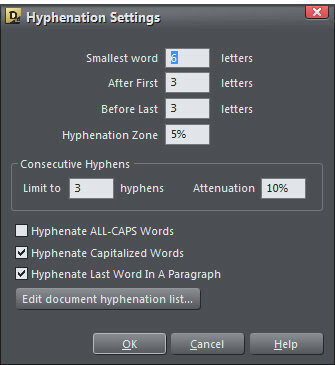 We have included a powerful spell checker offering check-as-you-type, word suggestions and a user-dictionary - so you can focus on designing documents! 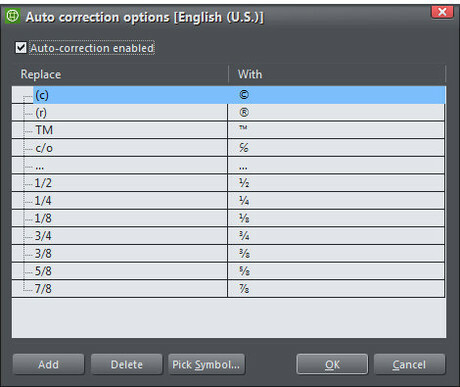 Find and correct any mistakes quickly and easily, in realtime while typing. Enhance all your documents with high-quality 3D objects. Turn text, shapes, graphics, and photos into impressive 3D objects with the world's fastest 3D tool, including natural light reflections, shadows and amny other options. Perfect for designing great logos, icons, special lettering and eye-catchers that are guaranteed to attract attention. Create your own list of abbreviations that will be automatically expanded as you type, so for example PLD could be expanded to Page & Layout Designer as you type. It's great for symbols too - for example you might set up yen to render ¥. Every document has the perfect font, so you can never have too many of them. 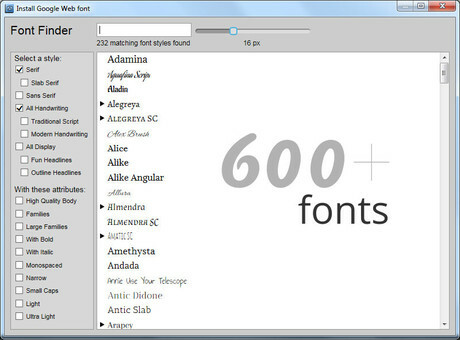 Google has recently shaken up the font world by offering a large and growing collection of fonts for free. We bring that collection right into the Page & Layout font picker where you can filter, preview and select fonts from the current 600+ Google Fonts collection. What’s more, if you import a document with Google fonts then the fonts will be automatically downloaded and installed. Page & Layout Designer makes it a snip to layout your page with drag & drop editing, but we understand it's just as important to offer flexible, intuitive ways to work across multiple columns and pages for your more ambitious documents. Page & Layout Designer offers everything you need for professional DTP, combining advanced text controls with flexible page layout features such as drag and drop editing of images and automatic text flow around objects. It adds up to complete design freedom for all your page design work! 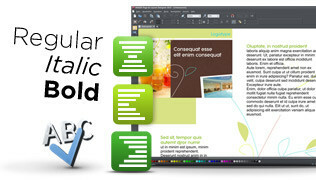 Page & Layout Designer is great for single page designs such as business cards or adverts, but it can also handle more complex multi-column, multi-page documents with ease, with automatic text flow onto new pages, automatic page numbering, single page or cross-document control of headers & footers, and very flexible controls over text flow between columns. With multi-column layouts you can switch column count and customize columns individually, have a common multi-column layout throughout the document or individually designed pages. And you can have single page or seamless double page spreads supporting across-the-spread graphics. Page & Layout Designer offers all the tools you need to create your documents from scratch, but it is also packed with ready-made, fully customizable templates to suit all your business needs. 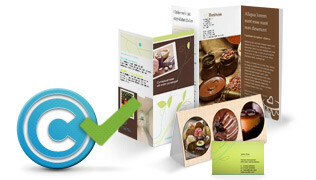 In addition, all the templates in Page & Layout Designer are royalty-free and can be used without limitation to design your business and marketing materials, regardless of how many copies you produce and of the time period in which you use them. Arranging elements of all kinds (photos, graphics, text, etc.) 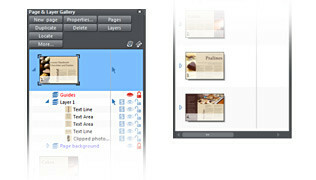 with absolute precision is fast and easy with Page & Layout Designer! Dynamic "Snap lines" show you the corner points of existing objects and the center of the page when placing your content. Elements can be docked to these lines (just like a magnet), so you no longer need to align objects using manual guidelines. 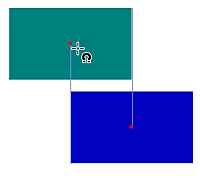 Multiple objects can be aligned next to each other simultaneously, e.g. to create identical intervals between them. The "flowing text" function substantially simplifies document design. Simply move elements and images to wherever you want them and the text will automatically flow around the object. The Page and Layer Gallery is the central location for managing your documents, making it simple to select pages and move, delete, copy, cut or integrate them into other projects. 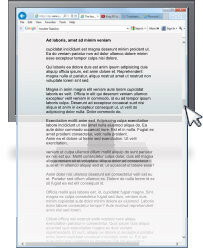 With Page & Layout Designer you can publish your multi-page print document on the web as a single scrollable document called a 'Supersite' - it's easy to view, totally WYSIWYG, and perfect for fast skimming and browsing of long documents or sharing your documents with others, without the bother of PDF. Great for viewing on touch devices like iPADs. What's more, Page & Layout Designer includes a free 500MB web hosting deal so you can easily publish your documents for free. Here are just a few of the other things that we think make Page & Layout Designer stand out from the competition - such as our fully integrated drawing and photo tools - or are important for any professional DTP solution. For any document, laying out your text professionally is just half the battle. 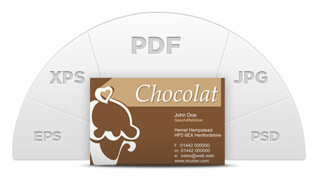 To present ideas or businesses successfully you also need images that create a professional impression. 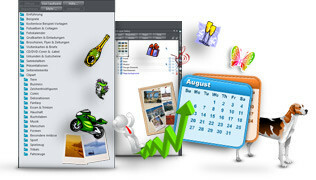 The image editing features in Page & Layout Designer allow you to do exactly that, quickly and easily. With the fully integrated photo tool you can easily crop your photo and adjust brightness, contrast, color temperature, saturation and sharpness, so you can transform your photos in no time at all, either manually or with the 1 click auto-optimization. 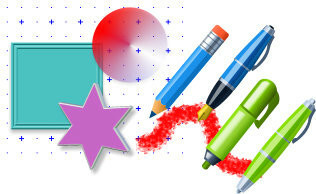 Page & Layout Designer offers all the tools you need to create your own graphics and illustrations for your document. These are taken from Xara's award winning illustration products, which means they among the best in the industry - including freehand and shape drawing tools and the powerful tools for creative effects such as bevel, shadow, mold, transparency, 3D and color fills. PDF and PDF/X are the industry standard for transferring any type of document, so it's essential that you can handle them. Page & Layout Designer offers comprehensive control over export of PDF and PDF/X documents and creates clean, compact PDF files. It also offers reliable import and basic editing of PDF files. 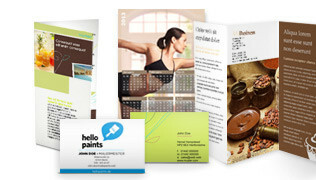 Page & Layout Designer gives you access to professional color schemes such as CMYK, HSV and PANTONE® so you can get the colors in your brochure, flyer or poster just right. Page & Layout Designer includes PANTONE color libraries for use as both spot color and PANTONE process color equivalents. 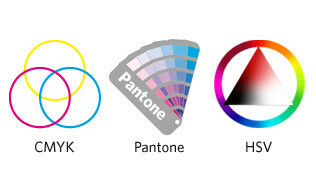 It also offers the ability to produce CMYK color separations. This includes on-screen preview of CMYK and spot color plates, PANTONE color support, spot colors, on-screen printer gamut preview and a lot more. So Page & Layout Designer can produce professional CMYK print results either via PDF/X or via direct four color and spot-color separation via the print dialog. The Designs Gallery includes our collection of customizable templates, plus a collection of 3000+ pieces of clipart, all categorized so it is easy to find the graphics you need to complete your document. The Designs Gallery is directly connected with our servers so it can be constantly updated with the newest templates and design elements. Page & Layout Designer offers comprehensive support for industry standard import and export formats, so you can import existing graphics and documents. 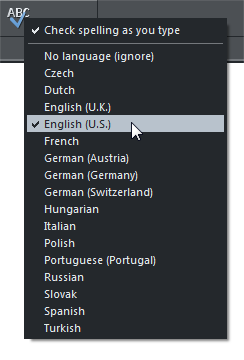 This includes RTF (Rich Text Format) and import and export of Microsoft Word (.docx & .doc). Page & Layout Designer also supports all the common graphics formats, including bitmap types like GIF, JPEG, BMP, PNG, TIFF and PSD. Plus the key vector types like PDF, EMF, WMF and SVG.